Tim Houpt began serving as a mediator and arbitrator in the early days of mediation in this community at the request of fellow attorneys who identified him as someone whose judgment they could trust. He trained as a mediator and arbitrator with several different ADR organizations, and now works as a mediator and arbitrator as part of his law practice at Jones, Waldo, Holbrook & McDonough. He has mediated or arbitrated over 150 cases. Tim graduated from the University of Utah College of Law in 1977. He was a law clerk for the late Chief Justice Willis Ritter, and then embarked upon a law practice which has included many personal injury cases of all kinds, workers compensation matters representing both plaintiffs and defendants, and a wide range of commercial matters, including intellectual property, securities, real estate, franchising, and breach of contract cases. He served as an adjunct professor of trial advocacy at the University of Utah Law School, and is a past President of the Watkiss / Sutherland Inn of Court. 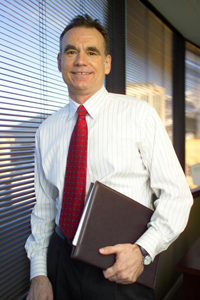 Tim is a Martindale-Hubball AV rated attorney, and has been favorably rated in a number of different publications, including Chambers USA, Best Lawyers in America, and Utah Business Magazines Legal Elite. Tim is sought after as a mediator and arbitrator because of his reputation for sound judgment and insight, and his experience in a wide variety of disputes. He has superb communication skills, and having represented many plaintiffs and defendants, including personal injury victims, as well as liability insurance carriers, he has a unique ability to understand the perspective of all parties to a dispute.